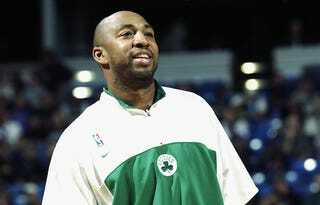 Vin Baker had a lengthy career in the NBA, but financially, he has nothing to show for it. Because of alcoholism, bad investments, and friends and family using him, Baker ended up in the gutter with almost no money. The current-day Baker is in better shape; the Providence Journal found him training to become a manager at a Starbucks franchise in Rhode Island. Baker says he’s been sober for over four years.